The killing of an undergraduate of the Nigerian Defence Academy (NDA) in Bayelsa by persons suspected to be cultists has thrown a family, which now demands for justice, into mourning. Saviour Enoch was shot dead by suspected cultists in Bayelsa State on Saturday, barely 2 years after his father died while serving in the Nigerian army in Maiduguri, Borno State. 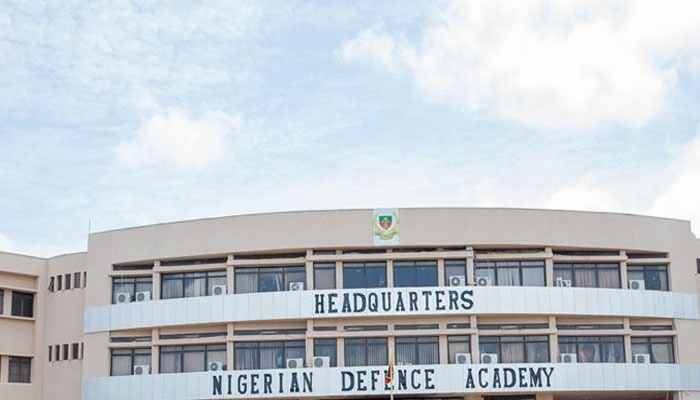 The murdered NDA Undergraduate's family want security agencies in the state to fish out the killers of the 20-year-old undergraduate of the Nigerian Defence Academy (NDA) Kaduna. Mr Ovieakini Enoch, the deceased’s uncle, made the appeal while speaking with the News Agency of Nigeria on Monday in Yenagoa, the capital of the state. Ovieakini said Saviour, was shot dead on Saturday night at about 8 p.m. local time along Gwegwe-Naval Road in Ovom, Yenagoa Local Government Area. According to him, Saviour was admitted into the NDA 2 years ago and his father, Gbavieme Enoch, also died two years ago while serving in the Nigerian Army in Maidugiri, Borno, apparently in counter-terrorism operations. “Gbavieme, a Staff Sergeant, was killed while performing a national duty on January 25, 2015. “That is why Saviour’s death is a painful one. "We are calling on the police and other security agencies to assist us to bring the perpetrators to justice. “I learnt that the police have made some arrests on Sunday night,” Ovieakini said. The mother of the murdered NDA undergraduate, who cried uncontrollably, also urged the security agencies to help the family bring the killers to justice. “My son died by shooting and my husband also died by shooting; my husband was a Staff Sergeant in the Army, he died two years ago and now, my son,” the sobbing woman lamented. Meanwhile, the Spokesman for the Police Command in Bayelsa State, Asimin Butswat, told the News Agency of Nigeria on telephone that he would brief journalists on the murder of the NDA undergraduate when authorised to do so.